From its founding in 2005, Chemists Without Borders had a vision; to find a solution to the 40,000 Bangladeshis dying each year from illnesses caused by arsenic poisoning. In 2014, we started our project in Bangladesh and hired five interns to give presentations at high schools explaining to hazards of arsenic in drinking water. Later we found funding to construct ring wells at two high schools whose wells were heavily contaminated with arsenic. 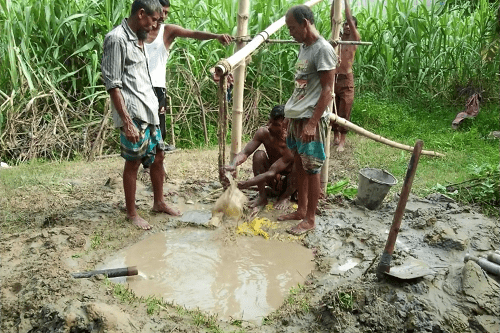 We have now constructed a model for arsenic remediation that we think can be replicated to solve the arsenic problem nationwide in Bangladesh. The beauty of this model is that it is simple, yet effective; ambitious, yet realistic; extensive, yet cost-effective. More importantly, it is Bangladeshi youths who fuel this project. Together with Shahena, the project leader in the field, Chemists Without Borders recruits university students and high school students to test the wells and educate the residents about arsenic and the possibility of sharing water from safe wells to families who take drinking water from contaminated wells. This project is not just about water. It is about empowering young people to solve a health problem that has persisted for years. 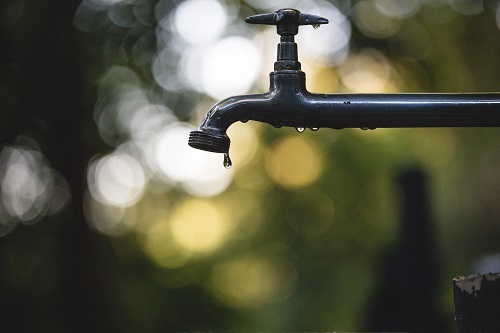 Following the repercussions of the high levels of lead found in the water supply in Flint, Michigan, the need to have better control on public water supplies was felt. This gave rise to the Assuring Water Quality Project, under the direction of Dr. Sut Ahuja. This project plans to monitor water quality in various counties in the US to raise the awareness of water quality in the US. We are continuously looking for volunteers who are willing to help investigate potential water contamination problems.